Sunday night Sam had some most excruciating stomach cramps. 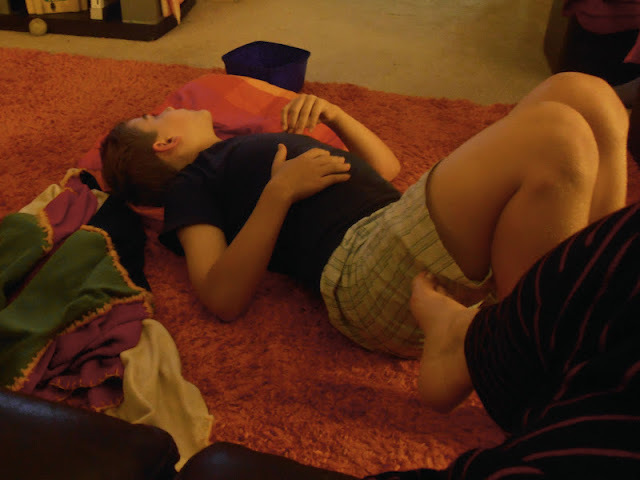 I'm thinking it was some gas trying to escape, so a heat pack, gentle stomach massage (like I used to give him when he was a baby) and some Buscopan soon helped relieve his pain. Sam went off to camp and that lovely blue shirt that he is wearing . . . came back brown. They had their water (mud) activity on their first day. 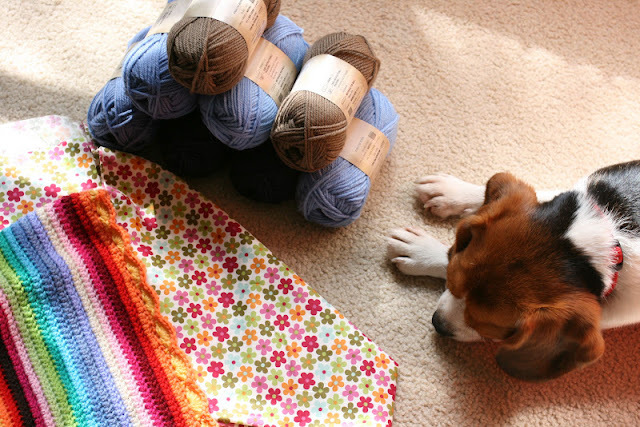 Another crochet bag almost finished. This one's for Joan. My mum and I went to Spotlight again where I bought the floral material for the lining of the bag and some more wool for a crochet bag for my mum in blues and brown. 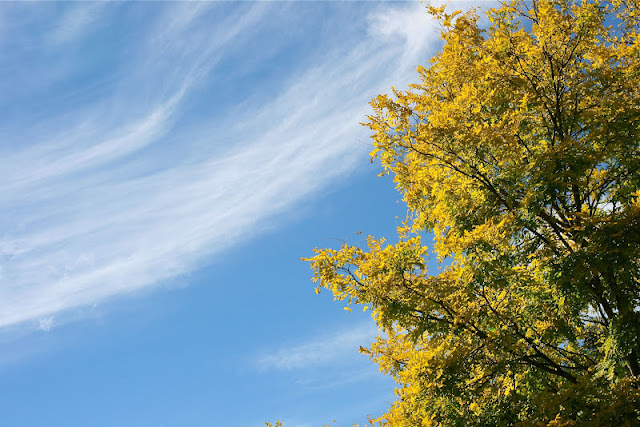 A cool, cloudy day at my cleaning job turned into a warm and sunny day with wispy clouds and Autumn leaves, just how I like it. Sam came home from camp today, yay! He was very, very tired. Harmony day at school. 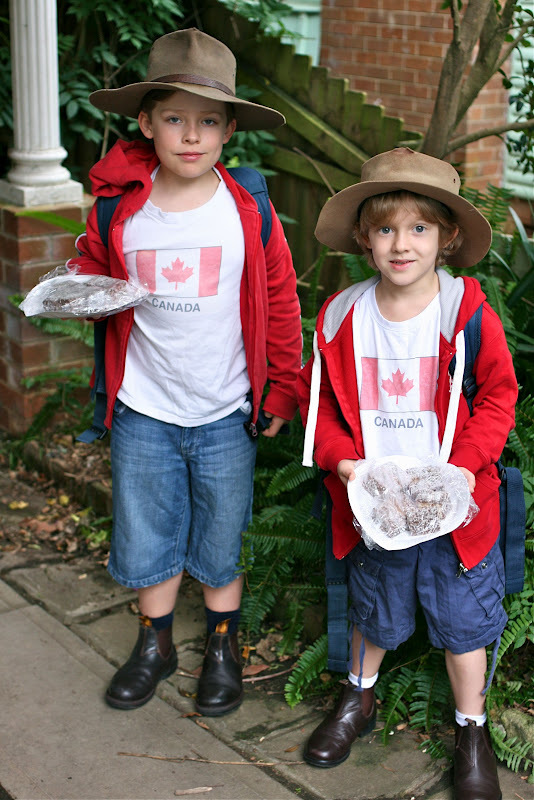 The boys went to school representing their country, Australian Akubra hats, Blundstone boots, a plate of lamingtons to share and also wearing their Canadian shirts. They are after all half Australian and half Canadian. 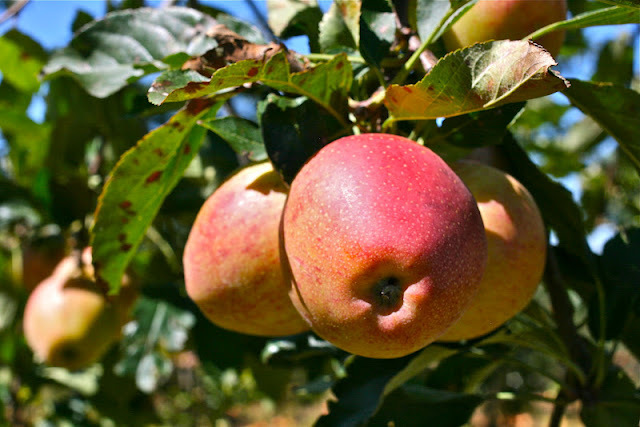 A glorious Autumn day in the Blue Mountains at Bilpin, buying apples and eating wood fired pizza with my mum and sister (photo's and blog post to come). Every good day must have it's consequences. Mine being migraine time again. I tried eating a mangy banana that wouldn't ripen and it left my mouth feeling furry. 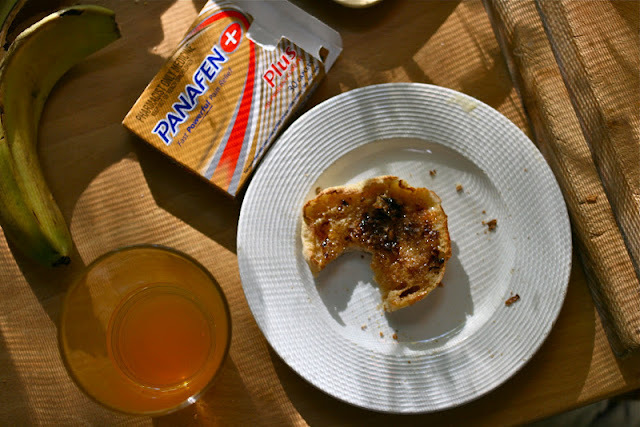 So it was a vegemite and honey english muffin for breakfast accompanied by a Berocca and some codeine pain relief.